Posted on December 1, 2014 December 15, 2014 by orionssong	This entry was posted in Syrups and Infusions. Bookmark the permalink. 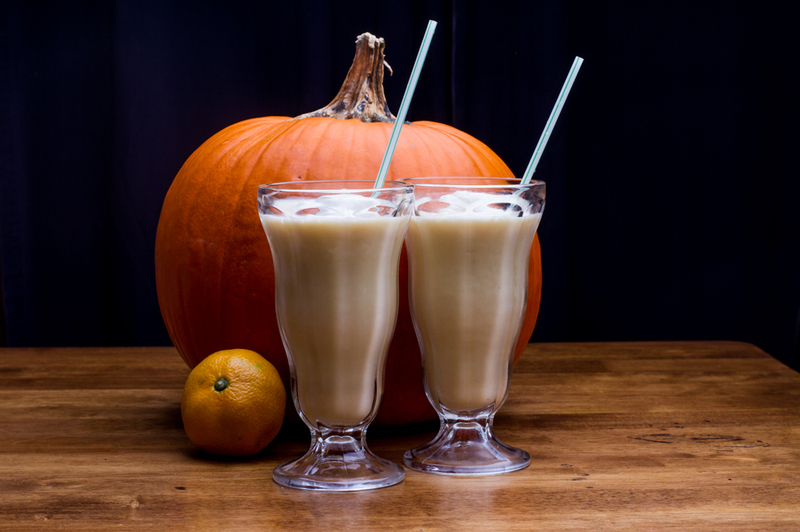 As a Weight Watcher, I am looking at this wonderful recipe for Mandarin Orange and Pumpkin and wondering what the WW points would be for this drink – and if there is any chance of getting a skinny version.?? calorie breakdown: 434 calories, 37 gr carbs, 5.9 gr protein, 17 gr fat. I am guessing 9 points. Most of this is from the ice-cream. There is three points in the syrups, no points in the mandarine infusion, and you decide if you want to count the pumpkin… isn’t it a free item (or 1 point). But when all added up, that’s what it comes to. A light version? Try light ice-cream? Before the ice-cream it’s only four points, but it ain’t a shake without the ice-cream!